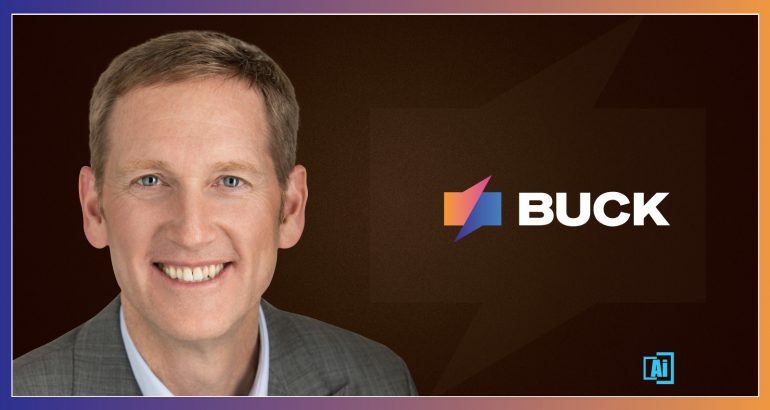 At Buck, I am excited about the evolution of AI, Blockchain, Robotic Process Automation and Machine Learning in providing opportunities to improve efficiency for organizations and experience for individuals. I’m excited that we at Buck can play a significant role in this evolution. Tell us about your journey into the digital technology industry. Like many career paths, mine took an unusual journey. Trying to find a connection between my passions for broadcast communication and efficient processes, I stumbled upon HR technology. Graduating with an industrial engineering degree, but with media work experience, traditional manufacturing jobs just didn’t make sense. Fortunately, along came the internet. HR was ripe for better process efficiency in the early 90s when I started — and many would argue still is. The world-wide-web (www) provided an ideal means for reaching the masses with better HR experience. Working at Mercer through that decade, I got a chance to build some of the earliest online enrollment, total rewards and recruiting systems that married personal data, targeted communication, and technology. All with the goal of better talent management and engagement. Now AI, Blockchain, Robotic Process Automation (RPA), and Machine Learning provide opportunities to improve efficiency for organizations and experience for individuals. How did you arrive at Buck? When Mercer sold its personalized communication and administration business to ADP in the late 90s, I looked for an environment that was eager for innovation and excited to drive change in HR. In August of 2000, I started with Buck. They embraced the creative use of technology to solve distinct client needs. Taking a consultative approach to digital solutions, we recognized then and still do today that not every challenge can be solved by a one-size-fits-all approach. 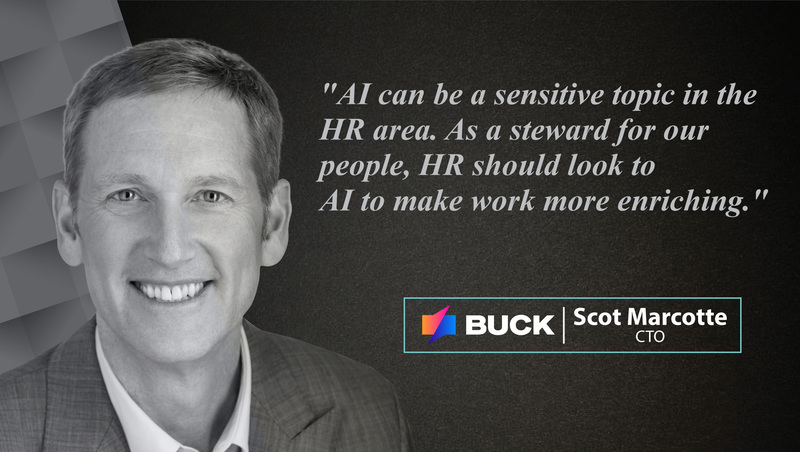 Buck was willing to experiment with emerging tools and unproven technologies, allowing us to build some of the first HR mobile apps, algorithm-driven targeted messaging, online games and talent analytics tools. Being owned by Mellon (now BNY Mellon) gave us an opportunity to hone our skills in the financial services side of HR. ACS (Buck’s owner between Mellon and Xerox) helped us explore broad HR and narrow benefits administration efficiencies. Xerox provided us access to some of the world’s leading innovation centers including PARC (Palo Alto Research Center) where GUI, the Ethernet and the mouse were born. Conduent focused us on the digital interaction, combining the best of systems improvement with the optimal user experience. Now that we are a stand-alone under the private equity firm HIG, we can build off that rich past with established platforms, global infrastructure, and a continued entrepreneurial spirit. What is Buck for businesses and how does it help in digital transformation journeys? 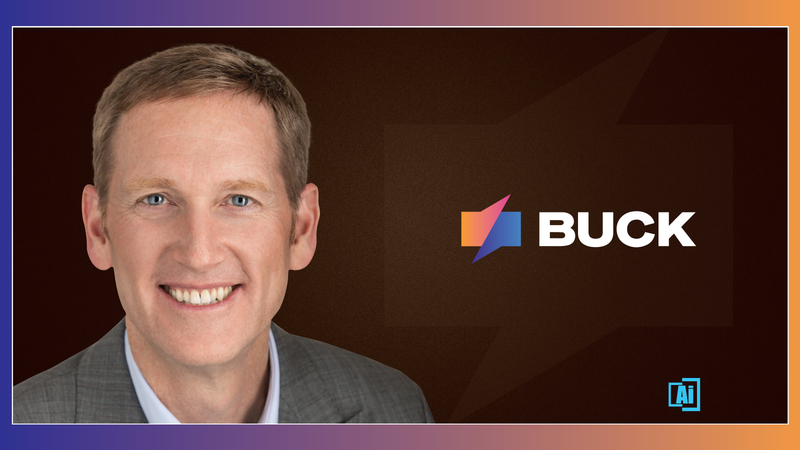 Across HR technology, administration and consulting, Buck is bold, nimble and confident. We can tackle any challenge across the talent planning, management and engagement spectrum. We are small enough to break down silos and create cross-tower solutions that don’t rely on cookie-cutter approaches, yet we are big enough to confidently deliver services in 120 countries using 30 languages. 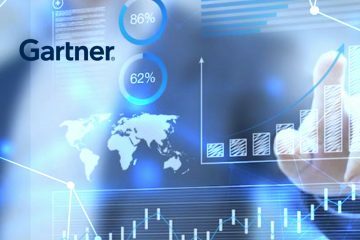 Our services include comprehensive global digital workplace solutions that make an employer’s distinct value proposition come to life, all the way to distinct point solutions for total rewards, decision support, benefits & equity administration and analytics. We can bring our own flexible and scalable technology to the table or guide clients in the optimal build-out of licensed services. Either way, we know that meaningful organizational value comes from eager individual adoption, so a killer UX coupled with goal-affirming analytics is critical. How do you differentiate the company from other HR technology platforms? Unlike most in the industry, Buck doesn’t start with a hammer in search of a nail. Instead, we take a tailored, consultative approach to bring order from the chaos. We tie together various disparate systems so that end users don’t have to think about which system is used for what; rather, we architect a single eco-system, built from their perspective. No two employers have the same talent goals, so we philosophically believe the right eco-system for one organization may not be right for the next. The HR needs of a global software developer are very different from the goals of a mid-sized Midwestern manufacturer. While there are plenty of processes and transactions that can be repeated behind the scenes, the means to entice and motivate talent needs to have a very organization-specific feel. Buck tailors every experience to assure messaging, tone, incentives and disparate systems align with business goals. We can even craft distinct transactional services that may not be available through off-the-shelf software, assuring the right plan design isn’t trumped by technology product limitations. We provide the wrapper to it all with front end experience and back end analytics to assure we’re driving the right behaviors and measuring the right impact. Artificial intelligence assures the experience is personally relevant and meaningful across multiple underlying systems. This approach allows organizations to take a best-in-breed, adjustable approach to vendor selection while maintaining consistent process flow and metrics. Even our administrative and decision support tools can be tailored to achieve desired outcomes for both the user and the employer. Key to it all is offering a front-end layer that is thin and powerful, but repeatable so that these tailored services don’t come with custom price-tags. What does it take to start and succeed in fast-changing HR Tech start-up ecosystem? For those who’ve attended any of the many HR technology conferences, it’s clear that there is no shortage of vendors looking to sell point solutions and wrapper services that claim to deliver the latest & greatest. Innovative capabilities will come and go. Small start-ups will be consumed by the big guys. Vendors will continue to build better & better mousetraps. For 102 years, Buck has adapted, applied and even invented the latest in business technology to solve HR needs. In fact, our founder, George B. Buck Sr. sold the world’s first punch card verifier patent to IBM in 1915. Since IBM’s punchcard machine was the industry standard for computing technology through most of the 1900s, Buck’s invention established the analytic smarts behind one of the most important business technologies of the 20th century. More than a century later, we continue to help organizations derive greater business value through the data we gather, the technology we administer and the insights we provide. We know it’s not about touting the latest shiny toy. It’s about leveraging the latest technology and approaches to align organizational and individual value. AI can be a sensitive topic in the HR area. Employers often reinforce that their people are their most important asset, yet many fear AI will replace the “human” in human resources. As a steward for our people, HR should look to AI to make work more enriching. To prepare our people for an increasingly AI-driven world, the technology itself needs to prove its value to the individual for users to overcome concerns and embrace it. Too many processes are unnecessarily complex. Too many transactions take excessive time to administer. Too much knowledge is untapped in our organizations. We can use AI to simplify, gain efficiency and share our wealth of information more readily, thereby adding value to each individual and the business. How can businesses better benefit from Buck’s technology? What is the most cutting-edge tool you offer to the customers? The first step in any initiative with Buck is what we call a “Phase 0” exploration. Phase 0 assures business objectives come before any solutioning. The discussion begins with ideal outcomes and benchmarked scenarios. A technology roadmap using industry, internal or Buck-supported technology can then be architected. Through a lean process method, technology approaches can be rapidly tested for early learnings. The technology approach can then be iteratively adapted against ongoing metrics. The most cutting-edge thing we offer to our customers is our ‘people’. We are continuously incubating new technologies – including AI, Blockchain, Machine Learning and the like – to avoid relying on any single technology that comes or goes. We bring a whole-brain mentality to business issues, assuring creative approaches are applied with deep analytic measurement. Define the phrase “Best Employee Experience.” Which tech integration companies are you collaborating to test your technology? With the millions of employees we serve, we believe there are millions of best employee experience. In other words, the best employee experience is what’s right for the individual we are serving. Our diverse world demands that there is no such thing as a single best practice to employee experience. Human-centered design helps achieve this audience of one approach. The continuum of experience starts with generic, which can be valuable for top-down communication, but not much else. Persona-driven models help narrow ideal experience, but still, run the risk of being stereotyped. Personalized models assure individual data, including historic interactions, is used to create a meaningful experience through the ideal channel with the right messaging and tone. Contextual experience provides the added benefit of applying relevant work and life events for a hyper-personalized approach. We believe the more contextual, the more valuable to the individual and the more likely it will result in ideal outcomes for both the user and the organization. A human-centered approach requires that HR borrows proven successes from our brethren in consumer marketing. Buck taps the expertise of other HIG companies to keep us from reinventing the proverbial wheel. Adherent, a leader in digital marketing, brings external consumer-facing AI, Machine Learning and targeted interaction expertise. Lionbridge, one of the largest language services companies, assures experience is contextual to the local dialect level. Salary.com supplies benchmark compensation and talent data helps us better understand the audiences we serve. Along with these partners, we take an objective approach to “hub” aggregation. It means we have to play nicely in the sandbox with all HR services providers in order to create a singular experience for the user. 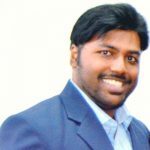 What does your product roadmap for 2019-2020 look like for HR Tech? Buck’s suite of technologies includes our front end “hub” user experience, coupled with middle layer administrative & decision support services and supported by an underlying analytics layer. Through 2019 and 2020 we will continue to enhance the AI capability of our platform for increasingly targeted individual recommendations across the health, wealth and career spectrum. We are also rolling out new robotic process automation services in 2019 for some complex HR tasks. In 2019, we will begin offering US retirement administration co-sourcing and outsourcing services. This supplements existing health and welfare administration capability in the US and Canada, and the DB, DC, and Equity services we offer in the UK and Canada. We will also launch cross-benefits decision support tools that help users choose between the overwhelming numbers of options available to them at enrollment. On the analytics front, we are pleased to announce our new People Analytics platform leveraging SiSense technology. This platform allows our clients to see the spectrum of health, wealth, career and engagement data in one place, and to make informed business decisions across it. Buck’s data lake gathers all interaction and transaction data and marries it with all other available internal & external benchmark data. Predictive services, such as anticipating who will leave the organization based on retirement readiness analytics, allow our consultants to provide insights and guidance from our clients’ data. What HR Tech & AI start-ups and labs are you keenly following? 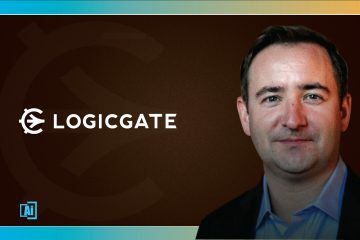 Of all the innovations in our industry, we’re closely following innovations related to Blockchain. The more personal we get with experience, the more danger is introduced in how that data can be compromised. HR needs to continue to be stewards for the people we serve and the personal data they entrust with us. There’s phenomenal value to the individual with the massive amount of data HR can access – from biometrics to claims to financial holdings to career planning – but plenty of risk with how we use that data to guide and educate. As a cost center, HR often doesn’t get the latest technology. 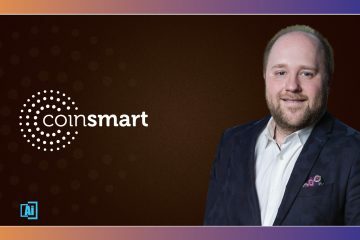 The improved business value of workforce efficiency could push HR to the front of the line when it comes to Blockchain, and Buck is eager to help make that happen. What technologies within smart technology industry are you interested in? The blurring of the work/life line is particularly evident with smart technologies. Employers are interested in meeting their employees wherever, whenever to address their physical, financial and professional needs. It makes good business sense given the ties to worker engagement and efficiency, along with lowered healthcare and absentee costs. To do it, though, requires getting away from a portal-first self-service model. Consumers are developing dialogs with their watch, their countertops, their TVs and even their refrigerators. With the blur of work & life, employees often need answers outside of work hours and separate from their company-issued laptop. Buck is creating skills for smart technologies to answer those work-related questions that are becoming more and more personal. Early phase applications include finding out provisions of benefit plans or HR policies. More elaborate, personalized scenarios are logical extensions that are likely just a technology generation or two away. For example, if an individual in the US needs to buy bandages, it would seem perfectly logical to ask their smart device whether they can buy them with HSA funds, and then complete the transaction with nothing more than their voice. As we know in the HR industry, the rules and administration behind the scene make that simple task incredibly complex. First, the device needs to authenticate the user in accordance with HIPAA and consumer data protection rules. Then, the item desired needs to be validated against allowable HSA purchases. Next, the HSA balance needs to be queried to assure sufficient funds. Following that, the transaction needs to be completed between the HSA administrator and the product supplier. Finally, the item needs to be delivered to the consumer. Similar scenarios abound with expense submissions, wellness incentive qualifications, time off needs and the like. With 5G becoming readily available in 2019, we expect consumer demand to quickly drive HR to become smarter for our customers. 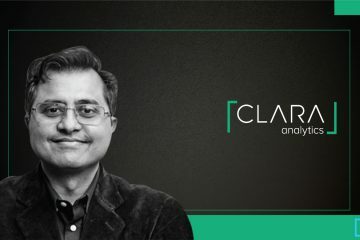 Which industries you think would be fastest to adopting AI/ML with smooth efficiency? What are the new emerging markets for HR technology markets? Consumer-focused industries are the best early adopters for AI/ML… since they have such a vested interested in supporting and influencing buying decisions. Whether it’s the travel industry where past experience may help encourage that next vacation or consumer electronics businesses that know when devices are becoming obsolete, there’s plenty of natural application of AI/ML. The same can be said, too, for HR. Job candidates, family members, alumni and employees are all our consumers. It’s a great chance for us to treat them like customers by anticipating their HR needs, driving behaviors that help them achieve their physical, financial and professional goals, and measuring to assure these efforts meet business objectives. Applying human-centered design to onboarding can provide huge business rewards. Onboarding is traditionally one of the most aggravating and least coordinated work processes. Each silo does its own thing, starting with the job requisition process to applicant identification/tracking, testing, benefits enrollment, orientation, IT procurement, real estate, payroll, time & attendance, etc., etc., etc. If nothing else, a great productivity hack is to create an electronic cheat sheet for new hires and managers to assure each step occurs in the right sequence as early as possible and so that no step is overlooked. This can help recent joiners get productive as quickly as possible and avoid the typical rut of waiting for basic elements to be fulfilled. The more RPA, AI, ML and Blockchain can be embedded, the better – though for many organizations baby steps are necessary. Part of the reason it’s so difficult is it’s rare to find the one entity that owns all aspects of onboarding. With Finance, HR, IT, Operations and others all at the table, Buck suggests taking a human-centered approach – coordinated by HR as the advocate for the individual – so that the pieces come together with efficiency and productivity of the end user in mind. High tech can work hand-in-hand with high touch. Achieving this, similar to most everything else referenced in this interview, will mean good things for both the individual and the organization. Always appreciate the insights of HR industry savant Shawn Leavitt. Thank you, Scot! 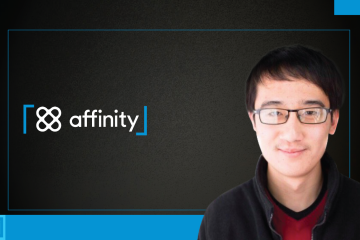 That was fun and hope to see you back on AiThority soon. Scot is Buck’s Chief Technology Officer. For 28 years he has helped organizations solve human resources issues through the strategic use of data, communication and technology. 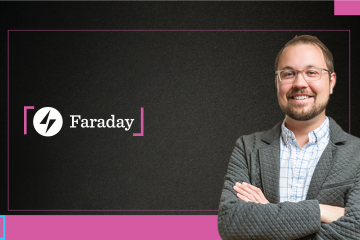 His team delivers talent engagement solutions for more than 300 clients worldwide. He holds a Certified Employee Benefit Specialist (CEBS) designation, recently co-authored a book on employee engagement, was named Xerox’s innovator of the year and is a regular presenter at global HR conferences. Scot fills his free time leading Northwestern University’s efforts on alumni engagement and can be heard at Chicago Bears games as the in-house public address announcer. He lives in the Chicago suburbs with his wife Sarah and keeps current on the latest in technology through his 12 & 14 year old daughters.